It now goes by the name “Autodesk Softimage”, but before that it was “Softimage XSI”, and before that, during development and beta, it was code named “Sumatra”. So where did the name XSI come from? What does “XSI” stand for? 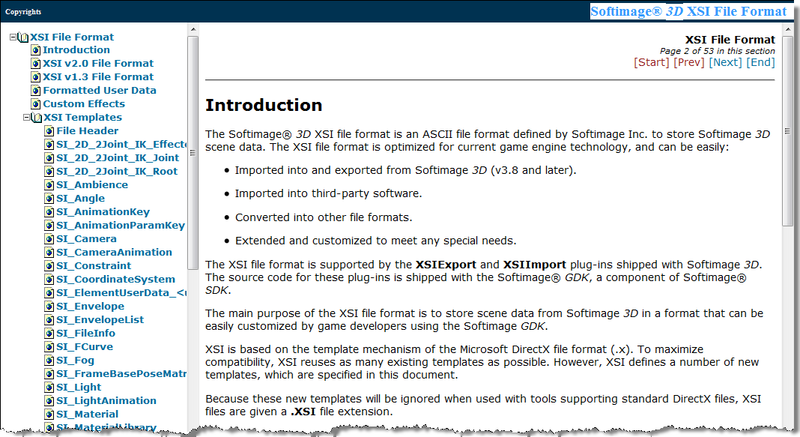 When Microsoft owned Softimage, the directX “.X” format was extended with modern templates such as IK, enveloping, and constraints. This enhanced version was labelled the dotXSI format, which stood for .X – Softimage. The name was clean enough to adopt for the product itself, to reflect the central nature of data pipelines to 3D software. For obvious reasons…. The name conjures up a notion of magic and special effects – this is what a 3D package does… It also sounds cool. it’s an invented word. Covers motion, feeling and has a punctuation mark which is always cool. Continuum is used in “Space time Continuum” this constitutes openess and and never ending. The other because it is Avid spelled backwards. Inspiring. Linked to your mind. Maje reach the next level. Do everything faster. Get where you want to go at a higher speed.